From the bestselling author of Catching Jordan comes a brand new contemporary YA you won’t forget. Graduated senior Annie Winters is training for the Country Music Marathon in Nashville for one reason: to honor the boyfriend she recently lost. She's certain that Kyle, who was training for his first marathon when he died, would still be alive if she hadn't gotten cold feet when he proposed to her. Her training plan, however, leads her to Jeremiah, an extreme-sports junkie, who makes life complicated with his easy smile and gorgeous body. 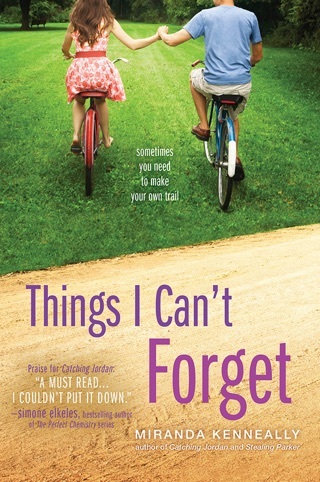 Kenneally (Things I Can't Forget) realistically unfolds the rigors of marathon training while building the friendship, lust, and tension between Annie and Jeremiah. Annie's grief and longing for Kyle are portrayed with poignant sincerity, and with just the right amount of guilt and uncertainty to make her relationship with Jeremiah justifiably complicated: "People usually say, I'm sorry, I'm sorry, I'm sorry,' and I get so sick of hearing that.... Living with a hole in my life blows." The final pages won't surprise anyone, but they are heartfelt, uplifting, and quite possibly enough motivation to make readers reach for their running shoes. Ages 13 up. 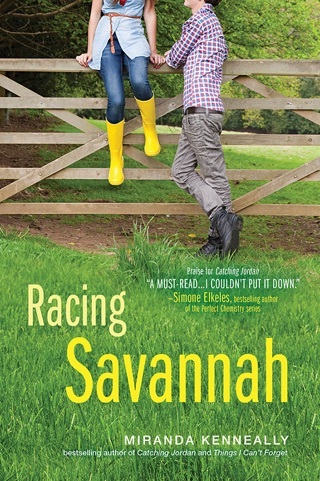 I absolutely love miranda Kenneally's books! She's an amazing writing and her stories always leave me wanting to pick it up and read it again. Miranda Kenneally has a way with words. Her stories might feature characters who are young adult and on the cusp of adulthood, but she makes the issues they face relate-able to readers of all ages. They're interesting, captivating, and entertaining. I always know I'm going to get a great story when I pick up a book by her. I also know and love I'm going to find "Easter eggs", or references/characters from previous books in a non-overt way. It always makes me happy to see how they're doing and this book had references to a number of couples I've already met. 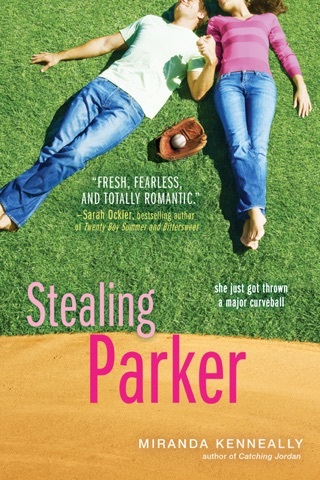 Each book so far has focused around a sport. 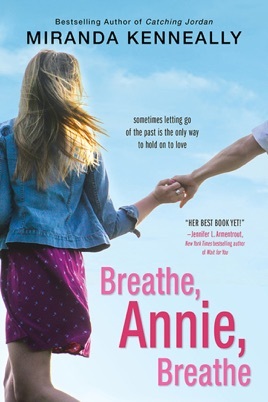 In Breathe, Annie, Breathe, the titular character Annie has taken up running to honor someone in her life. Her anguish, guilt, and pain is palpable as the story continues. The reasons for why are unclear in the beginning, but slowly pieces start coming together. I admired Annie for her determination to run and complete the goal she'd set for herself. She was strong, pragmatic, and yet still wistful. It often seemed like she was wise beyond her years. In the beginning I was taken aback by her interaction with the "backwards running boy", but then I realized she was living again. I understood her fear regarding Jeremiah's need for an adrenaline rush, but wasn't clear on why he was addicted to it. Annie's point of view was the only one and her motivations and actions were clear, while those of others around her weren't always. I felt like Jeremiah had stolen the spotlight from Annie by the end of the book, because I was more concerned with him and his behavior than I was with Annie's. I liked the multiple conflicts Annie had and how they were dealt with. Some were to due to her grieving and others due to growing pains. Each was dealt with carefully, something I liked. I was surprised by how involved I got with the story. I wasn't able to put it down and there were certain parts that made me teary eyed. All in all I felt like the story was written well but it wasn't complete. 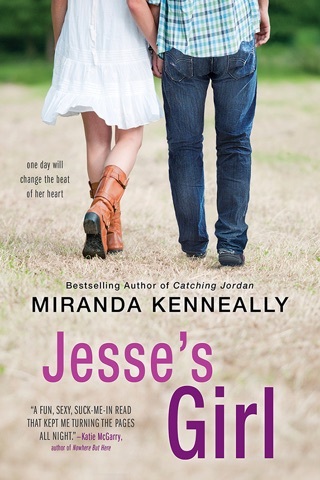 I know Miranda Kenneally hasn't written a sequel for any of her character's yet, but I do look forward to hopefully seeing more Annie and Jeremiah so I can get the answers I want and see them at some point in their futures together.